The digital world that businesses operate in today requires a different kind of marketing, and that means having the right plan. Whether it is a simple Pay Per Click campaign, SEO, Social Media or Content Marketing, you need a solid strategy. Selling brands on digital media presents a whole set of challenges that many entrepreneurs have not faced before. For one, you are dealing with a different audience than the traditional one, in addition to an online setting. The way you measure the success of a digital marketing campaign is also not the same as conventional advertising. Even with the different variables present in online marketing, some entrepreneurs don’t have proper strategies. Marketing goals vary from company to company and even from one product to another. Having a plan gives you a blueprint to achieve those ambitions. You will know where to concentrate resources and what to give priority to when implementing your marketing. Executing a campaign without direction is one of the easiest ways to waste resources. The competition in the digital marketing sphere is brutal, what with every enterprise trying to bring its best. Failing to use strategic approaches means you are playing with a marketing deck that is a card short. You give your competitors an edge, and they capitalize on it. Even newcomers can quickly overtake your share on the market if you are flying blind. It is hard to measure the return on investment of a campaign when you didn’t have a plan in the first place. When there is an outline that includes individual objectives, you can tell if your marketing tactics are working or not. It is a waste to spend money on advertising and promotion ploys without them making an impact on the bottom-line. Digital marketing spans a broad spectrum and sometimes you may need to use more than one method to get the desired results. Another reason a marketing framework is vital is to help integrate different techniques into one campaign. Packaging social media, content, search optimization, and pay-per-click without some overrunning the others can be difficult without a plan. Now that you know the essence of having a strategic approach to your digital marketing, you have to put one together. There are objectives that the company has to meet and then there are those that apply to the marketing team. A marketer should ensure that the two sets of goals align with each other. Whatever your marketing strategy will be, it has to contribute towards an organization’s bottom-line. When deciding on the targets for a marketing campaign, ensure that you stay realistic. For example, expecting to be top three on Google SERPs when you have just launched your website may not be a reasonable expectation. Analyzing your past results and seeing what went wrong can help you come up with new goals. Ensure that there is a way to measure your key performance indicators. Before you do that, though find out which metrics would be most suitable for your company. Is the intention to increase web traffic or conversions? Having the objectives in place and knowing how to quantify KPIs will make it less taxing to pick the right tools. Marketing campaigns go wrong when people don’t know who they are doing it for. If you don’t know your buyers’ personas, then how can you tell if what you are selling is right for them? Any decent marketing research includes an evaluation of the target market. Consumers have varying behaviors and these influence how they respond to messages. You have to consider the important demographics that impact online activities. For instance, if you have an international e-commerce business, you have to take into account the different cultures that you will be marketing to. It would be a shame to put together an ad and then find out it cannot run in a particular part of the world. Good research should gather data such as age, occupation, location, and income capacity of your target audience. Besides the basic information, dig deeper to learn about the wants, needs, fears, aspirations, and goals of your buyer’s persona. Understanding the people you are marketing to makes it easy to structure messages that speak their language. Another common mistake that marketers make when marketing for online media is starting campaigns without a proper budget. Give your digital marketing department the same importance as every other. In fact, it may be more important than some of the divisions in an entity. Remember that when it comes to marketing, the ROI is only as good as what you put in. Be reasonable when deciding the marketing spend. Granted, some enterprises can find it hard to set a sizeable budget for digital marketing. The beauty of online marketing is that the options are unlimited. It’s not set in stone that you only have to do PPC ads to get your brand noticed. Take the time to analyze the most cost-effective method of marketing. If it’s social media, look at the network that is currently working best for you. For example, you may find that a Twitter account is generating more customer feedback than your Facebook page or vice versa. You can also examine the current channels and see which ones are bringing in results. If an online medium is not delivering, get rid of it. Just because you have established a marketing framework does not mean it’s the only path to follow. 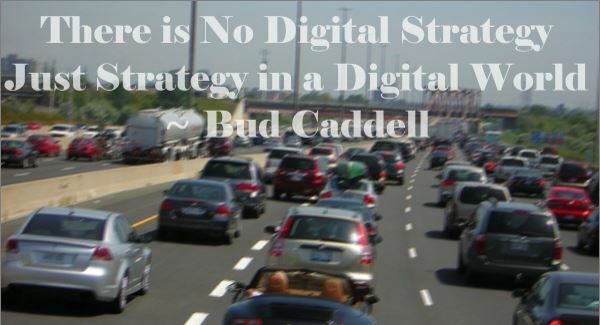 A digital marketing strategy is for guiding you more than anything else. With time, some variables may change and unwillingness to deviate from the original plan can cost you. For instance, Google may release an update to its algorithm, thus affecting SEO. In such a case, you would have to reevaluate your optimization strategy and tweak it to respond to the shifts. You should also have a way to monitor your plan to see if it is benefiting your company. Set a timeline and check the results against it, if it’s not working, try something else. Digital marketing is a challenging turf and having direction will keep you safe from most of the common mistakes.